The Book Garden: The Reading Files - Let's knit ourselves an alibi! The Reading Files - Let's knit ourselves an alibi! Apparently I let Stephen sleep on the shelf for yet another week, so no updates on murderous clowns despite my intention to finish that tome in the next days to A) get it off my plate and B) thoroughly impress all other participants in the Tea & Books Reading Challenge. 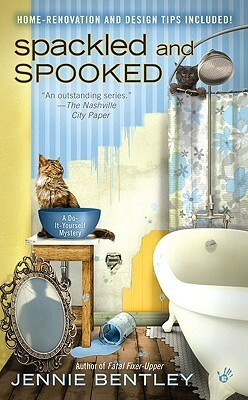 Of course I did read a bit and as I am once again in a cozy mystery mood, well ... just see for yourselves! Thoughts. Take a dead aunt, a missing quilt, and an overzealous realtor. Add a reluctant knitter with a a bit of an unhealthy coffee-addiction and a dog you can't help but love. Wrapped up nicely in a wonderfully fluffy if a bit too run-of-the-mill plot, this was utterly enjoyable! Random quote. Strangling the wool? How'd she manage that? Kelly wondered. She'd started out arguing with it and wound up killing it. Verdict. 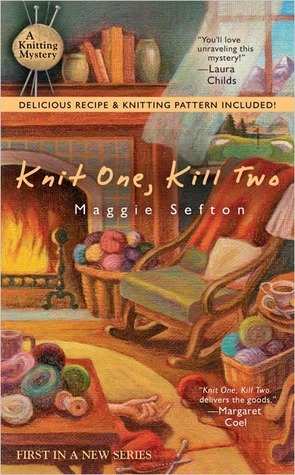 A fun cozy read with plenty of swooning over yarn! Thoughts. Yet another crafty setting featuring a determined and emotionally stricken heroine who needs to keep Artisans Alley afloat after the previous manager dies. A bit too dark for my taste, not to mention most characters being unlikable enough to make me wish there were more murders. Most thought (and spoken) word by the heroine. Swell. Verdict. Average not all that crafty mystery! Thoughts. A if renovating a house where a whole family's been murdered wasn't bad enough, there's still a skeleton buried beneath as well. Fun and engaging with a wonderful cast, though as far as the mystery goes I knew who-dunnit in the second chapter already. Random quote. "Are there more?" I asked. "It's not as if someone could loose an ulna and not notice. It isn't something you can take off and leave laying around, like that earring you picked up the other day. I didn't see any more, but if there's one human bone down there, they're all there, believe me." Verdict. Enjoyable yet utterly predictable mystery! I wish I could get into cozy mysteries more, they sound so fun but whenever I've given them a go I've always wanted a bit more substance. They sound nice enough. Knitting, eh? Right up your alley. They sound good, haven't really tried cosy mysteries before but the crafty link has sold me, that's more added to my wishlist, thank you! Finished the crafty one and really really like it, apart from the "swell". I found the setting and theme very appealing. Am considering getting the other two. 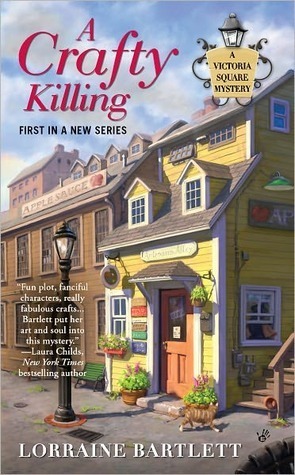 I didn't like that one enough to look for more books in the series, but it's great I've been able to introduce you to a new cozy mystery you obviously enjoy!